I have not been out much over the last couple of weeks but that doesn't mean that I haven't had anything to drink. 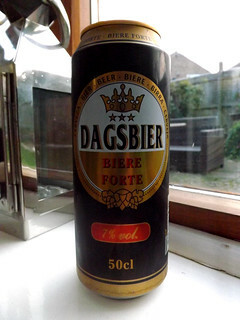 I have been getting through some of the beers I have had in the fridge for ages. The first two are cans, both fairly strong ones and both from our last visit to France. 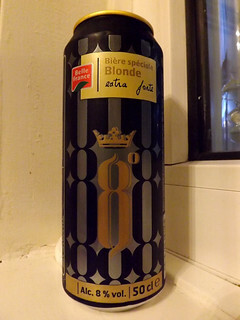 8.0% gold in colour with a good head, the aroma was of alcohol and tin but it had a smooth strong taste.